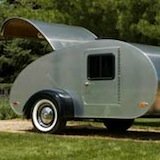 Tumbleweed Houses is hosting a Dee Williams workshop in Atlanta, Georgia where you can learn all there is to know about designing and building a tiny house. It's a weekend workshop that runs Saturday and Sunday from 9 am to 5 pm. The actual date is October 29-30, 2011. 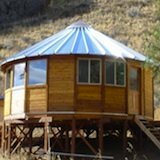 If you're not familiar with Dee, she has been living in her own custom-made Tumbleweed tiny house since 2004. The neat thing about Dee is that she built her house for just $10,000 because she used mostly reclaimed materials. 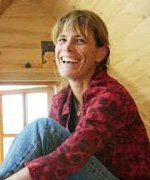 Over the years she has been helping other people design and build their own little homes through workshops, her book and her services. By going through her class you'll get to learn from her experiences. If you're interested in tips for using recycled stuff this is a great class to go to. And much more including windows, fire codes, cabinet sizes and compact appliances. 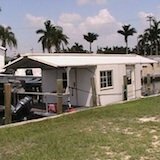 When you finish the course you'll be an expert in tiny house design and construction. Ready to learn more about attending the classes? All you have to do is reserve your spot before October 10, 2011. Already missed it? No big deal. Have a look through the other workshops using the same link. As always- reserve early and save money. 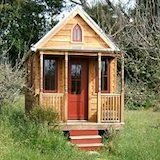 To learn more about and reserve your spot to the Tumbleweed tiny house building class that Dee Williams is hosting click here. Then go to the Atlanta, GA Oct 29-30 link or whichever one works best for you.